No Sunlight, and No Soil. and the Well Building Standard Projects. 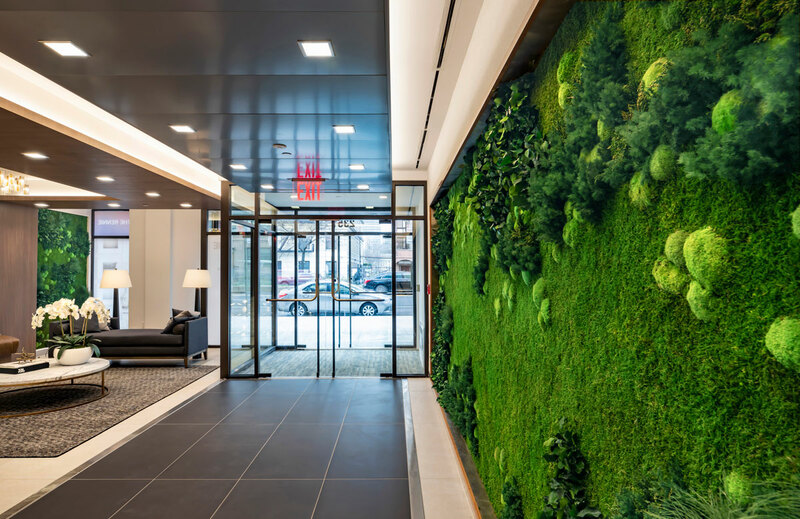 Garden on the Wall is an award-winning provider of Turn-key “Maintenance-Free Vertical Garden Installations” for Interiors. 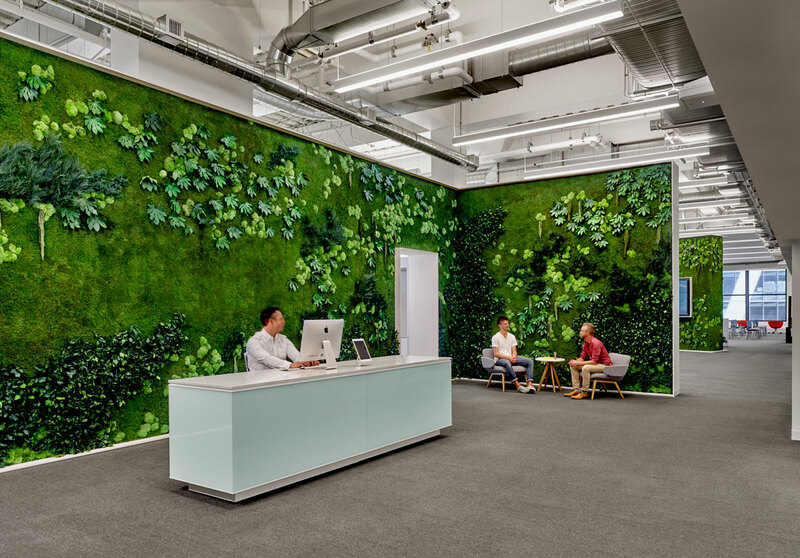 We help bring Biophilic Design Aspirations to life while eliminating the hassles of living walls. 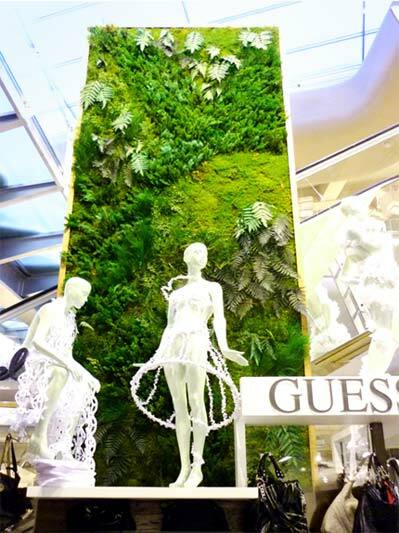 Our Installations are created using all Natural Preserved Plants. These long-lasting, Maintenance-free Gardens require no water, misting or irrigation, no light and no soil, but retain a vibrant, fresh-cut look and feel for 7-10 years. Click here if you wish to view the full Care Instructions and Display Recommendations. 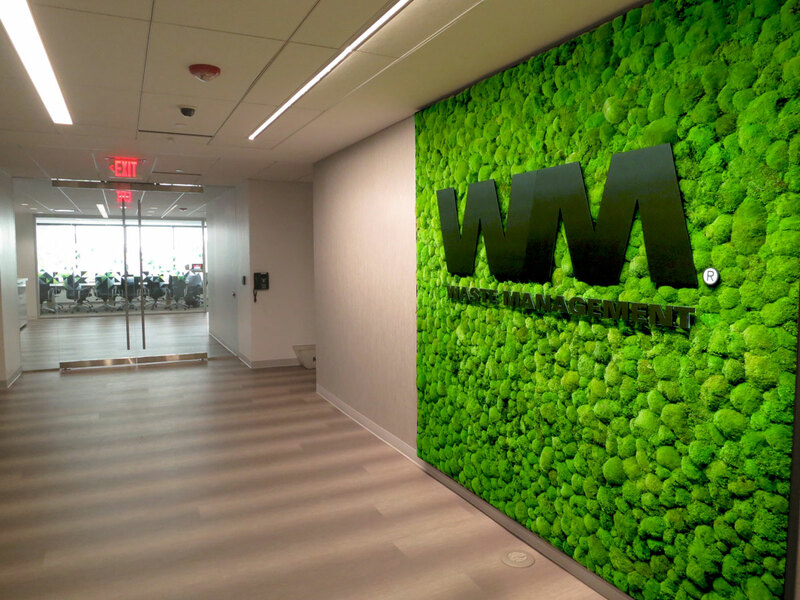 The first wall garden system listed in the mindful MATERIALS (mM) database. 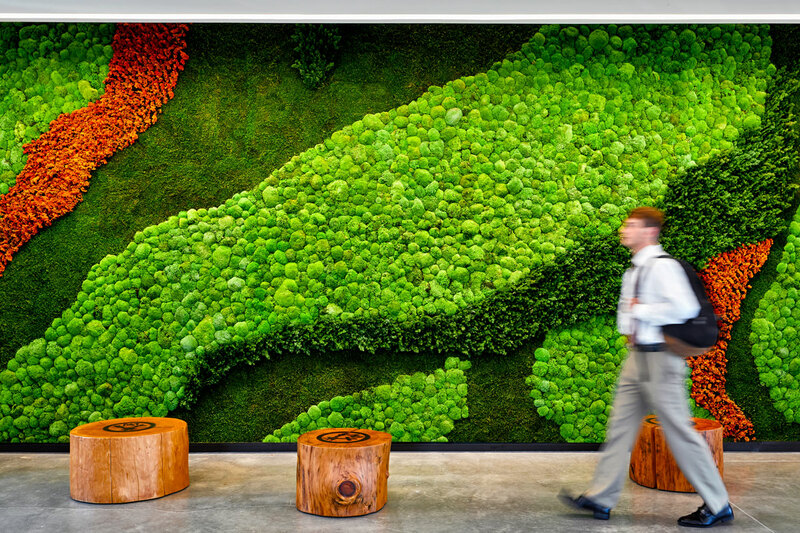 Though plant and flower preservation techniques are as early as history of man, rapid expansion with patents for large-scale industrial production of preserved plants and flower foliage became popular as vertical wall garden applications soared following the launch of Patrick Blanc’s invention concept ‘Mur Végétal’ in 1998. To begin the preservation process, plant and flower foliage is harvested at its peak to attain maximum vibrancy. Once harvested, a non-toxic, plant-based, and biodegradable preservation liquid is used to replace the plant sap. Garden on the Wall ingredients are supported by the Health Product Declaration (HPD) which was completed in accordance with the HPD Standard version 2.0 and discloses hazards associated with all substances present at or above 1000 parts per million (ppm) in the Wall Garden System, and are listed in the mindful MATERIALS database (mM). 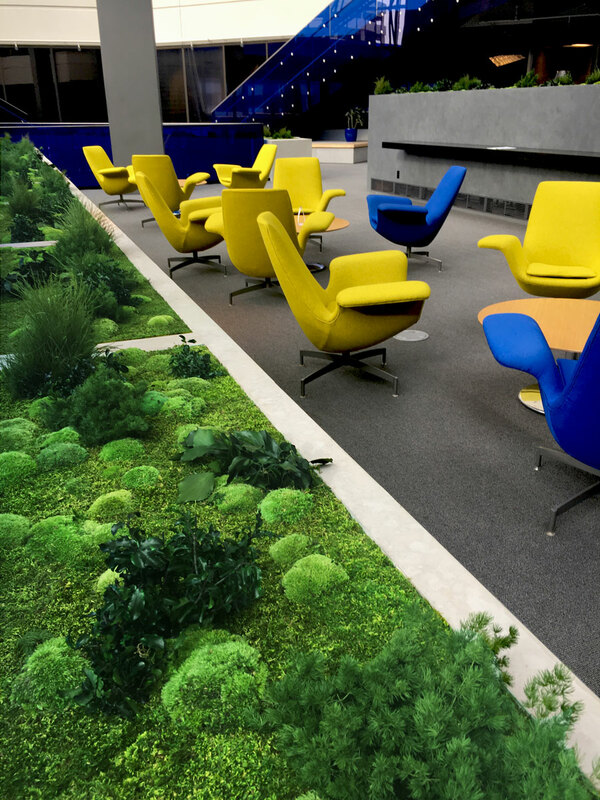 Garden Installations created with preserved plants require no water, no misting or irrigation, no sunlight, and no soil, but retain their vibrancy, fresh-cut look and feel for nearly a decade. 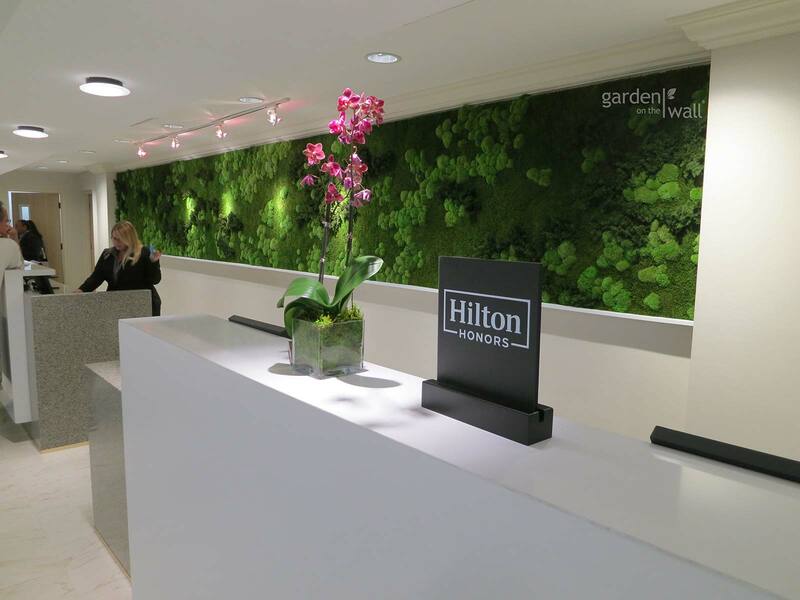 Our Garden Installations provide excellent value because they allow integrating ‘Maintenance-free Nature’ to interior designs, allowing significant savings from not having a monthly maintenance required for living walls such as gardening and the hardware upkeep. 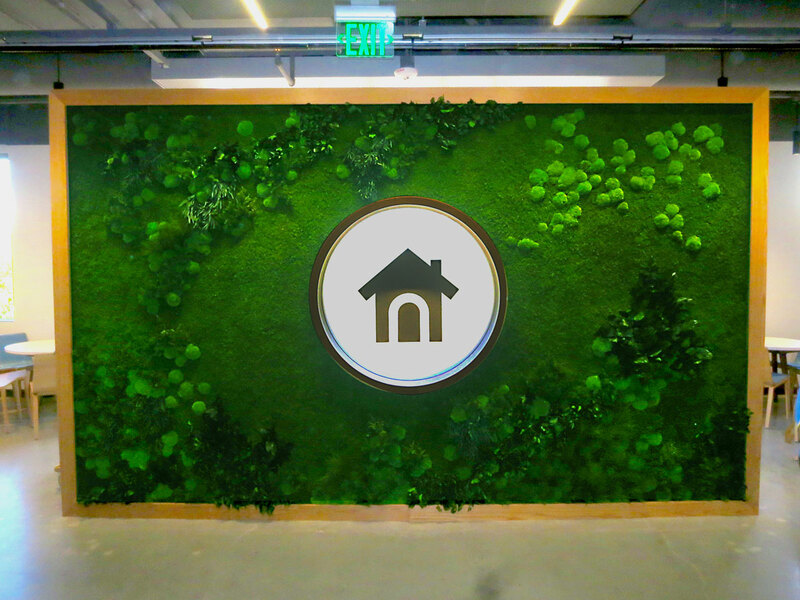 Our Garden Installations are much more efficient than living walls and plants due to their longevity and low energy consumption such as no water irrigation, specific light, soil infestations, trimming and pruning and periodic maintenance. 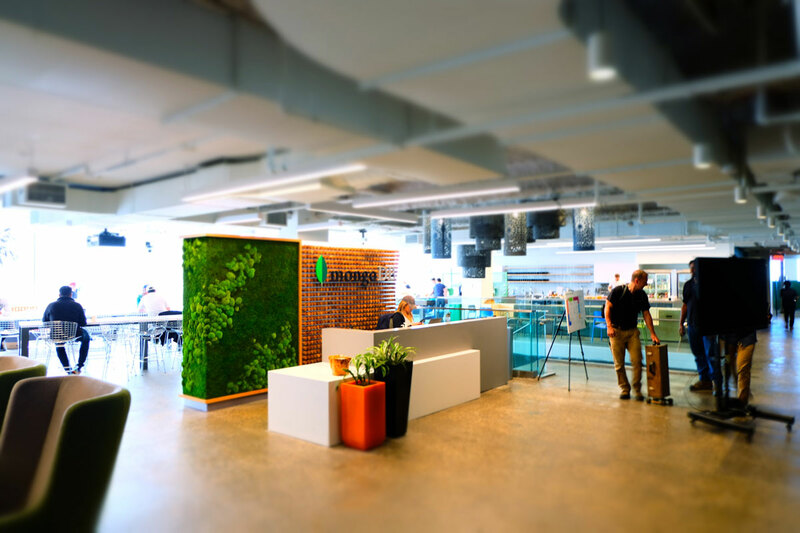 This results in a significantly lower carbon footprint when compared to both fresh-cut and artificial plants. 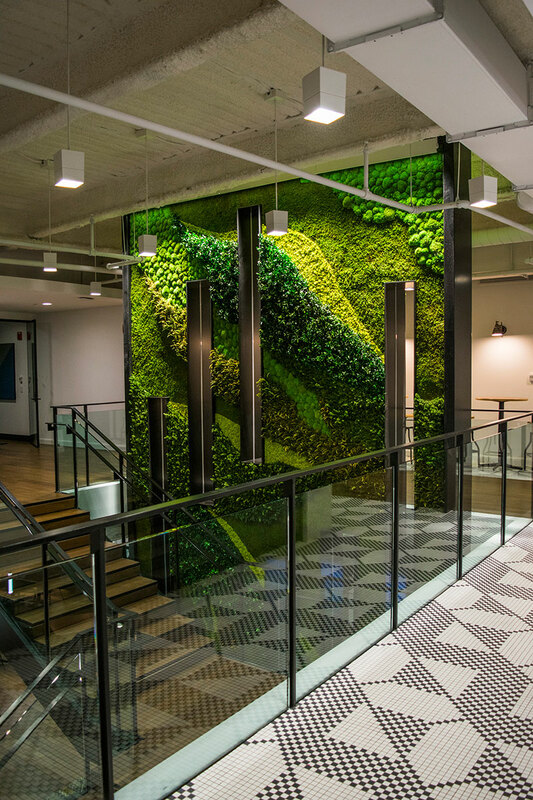 Tested in accordance with ASTM C423-9a, our wall garden installations have significant noise reduction coefficient (NRC). 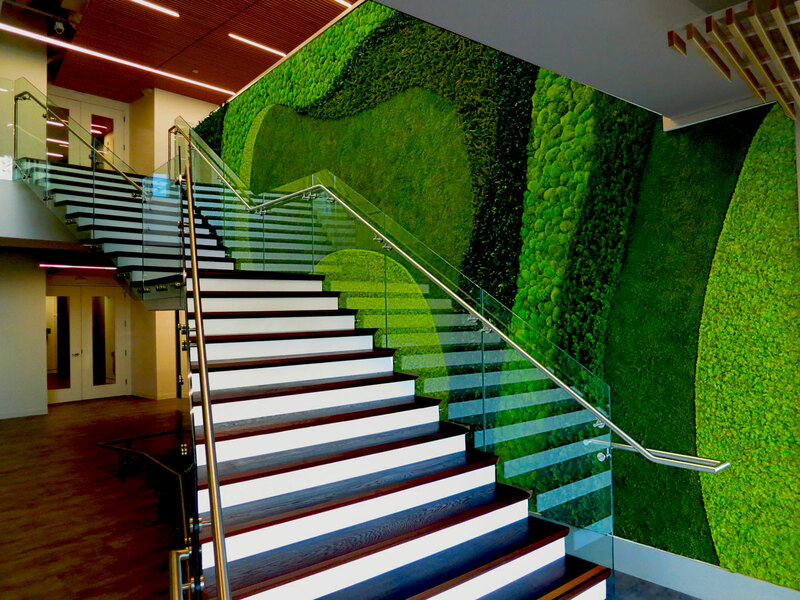 Whether it’s a custom planter insert, wall or ceiling garden or a custom-shaped garden integrating a logo – the versatility of elements available for the creation garden installations allow to integrate ‘Maintenance-free Nature’ seamlessly into built environments. 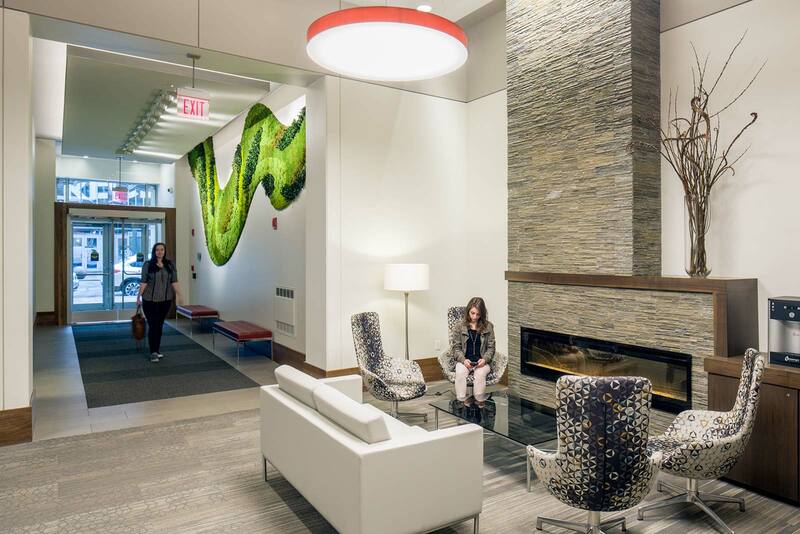 With an average depth of 3” for vertical applications, integrating The Art of Preserved Nature® is as simple as adding a picture frame – essentially creating framed art to the biophilic design canvas. © 2019 Garden On The Wall. All rights reserved.